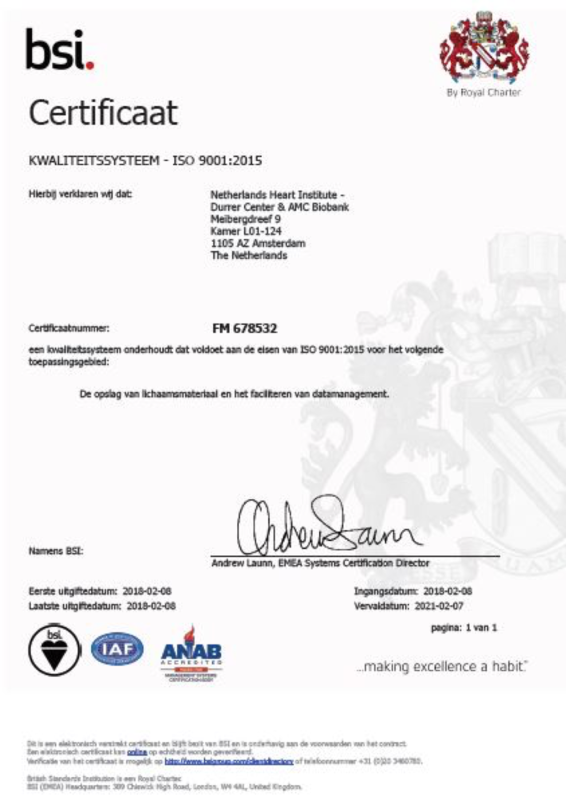 Durrer Center and AMC Biobank has implemented a Quality Management System according to ISO9001:2015 Quality Management. Both organizations guarantee control and continuous improvement on high-quality storage for biological materials and facilitation of data management rendered to researchers, partners and third parties. Durrer Center and AMC Biobank received the ISO certification as of January 22th, 2018.